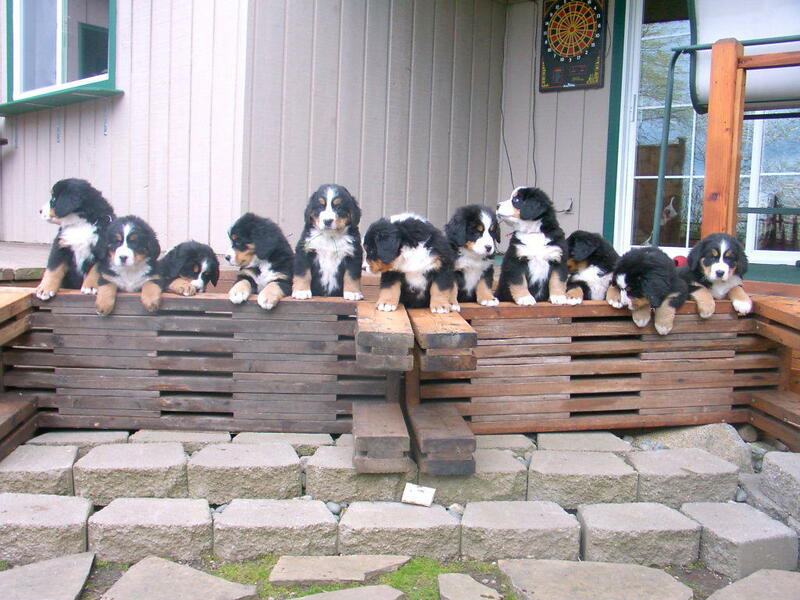 The puppies are raised inside the home and receive tremendous interaction with the family. 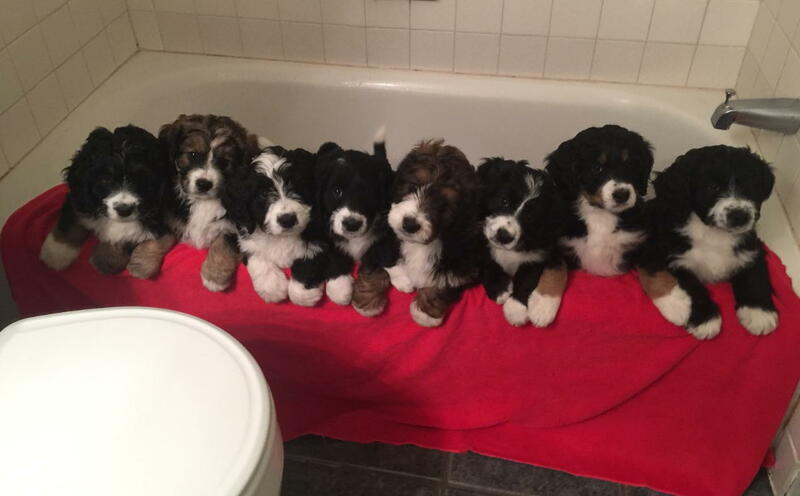 When the puppy leaves, it will be completely socialized with people and the litter, weaned from its mother, have a strong instinct to go potty outside, had its dew claws removed, wormed, evaluated by a veterinarian, received their first (of 3) DA2PP vaccinations, and provided food to maintain its normal diet. 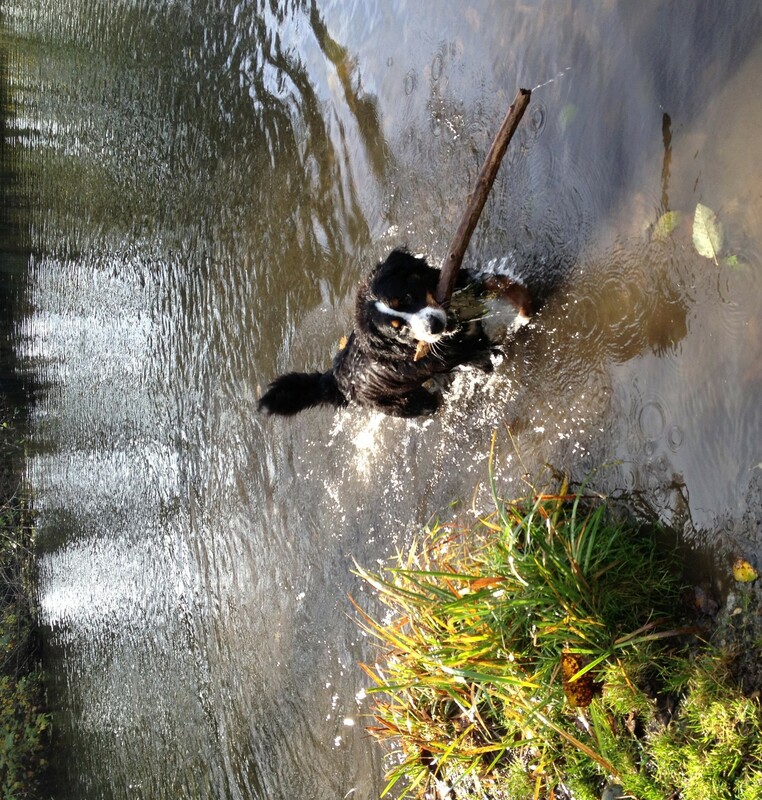 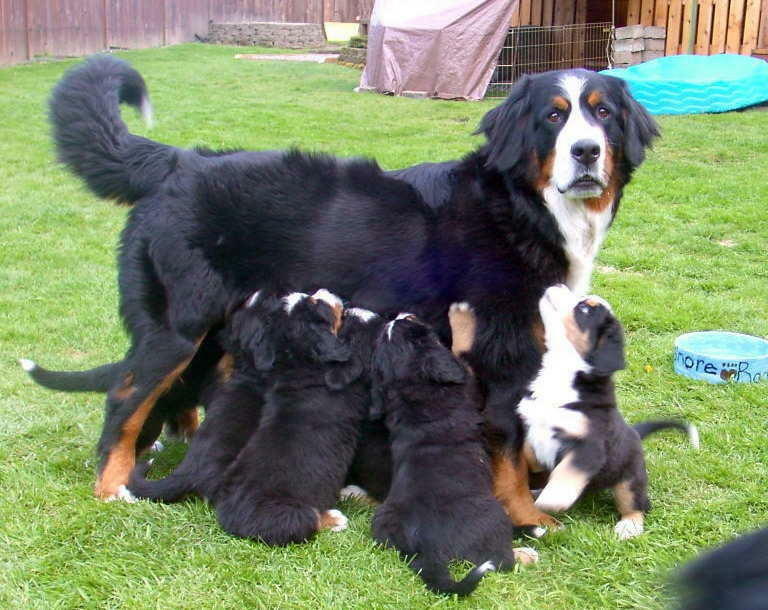 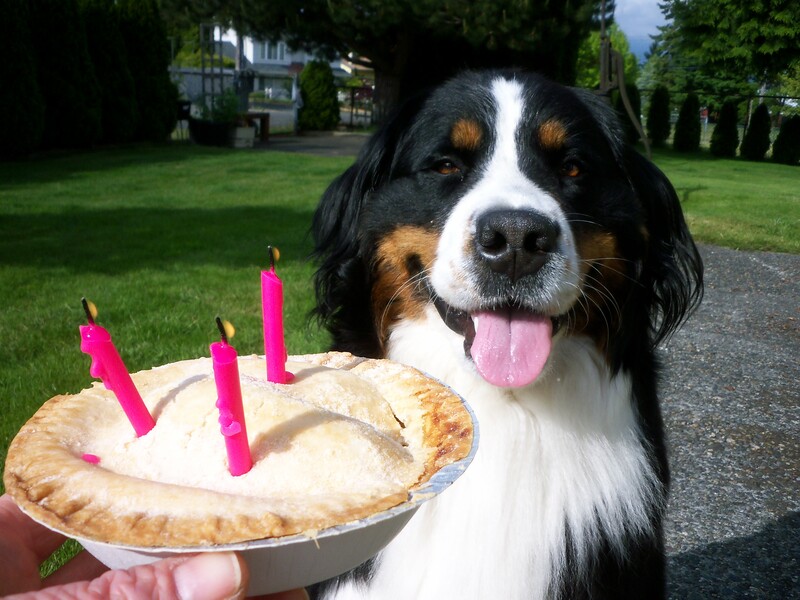 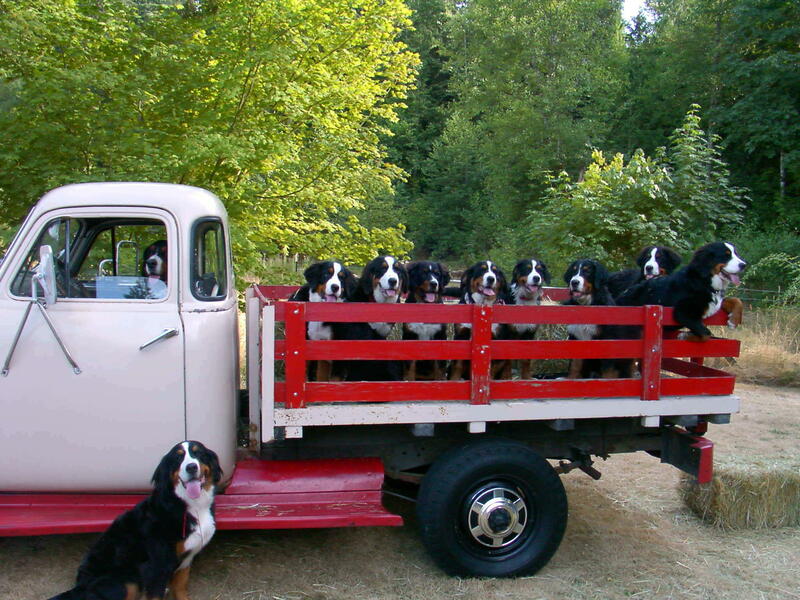 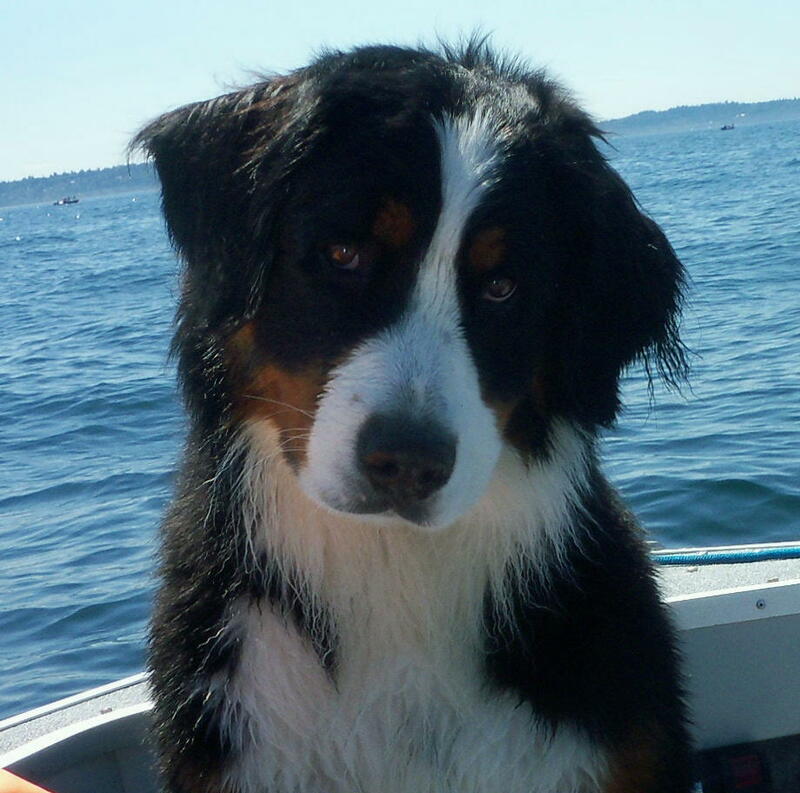 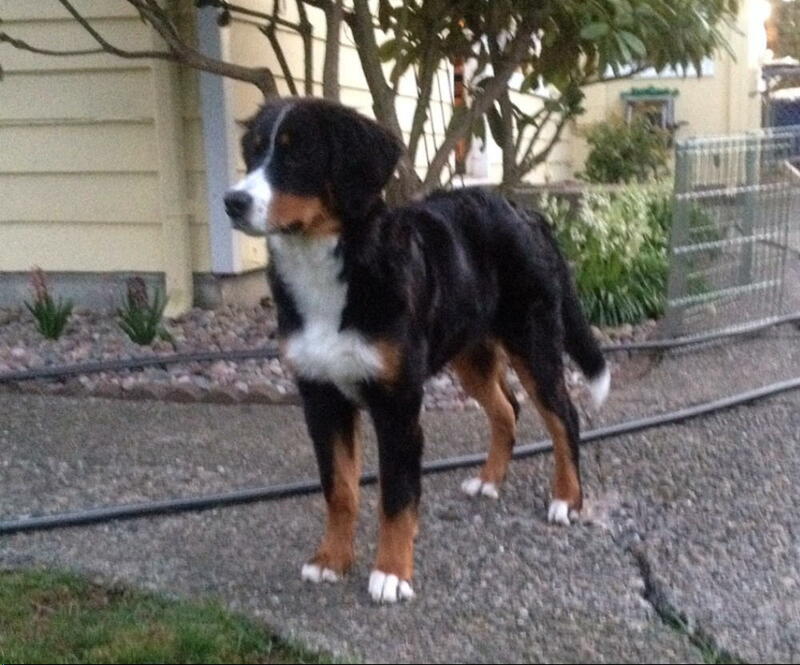 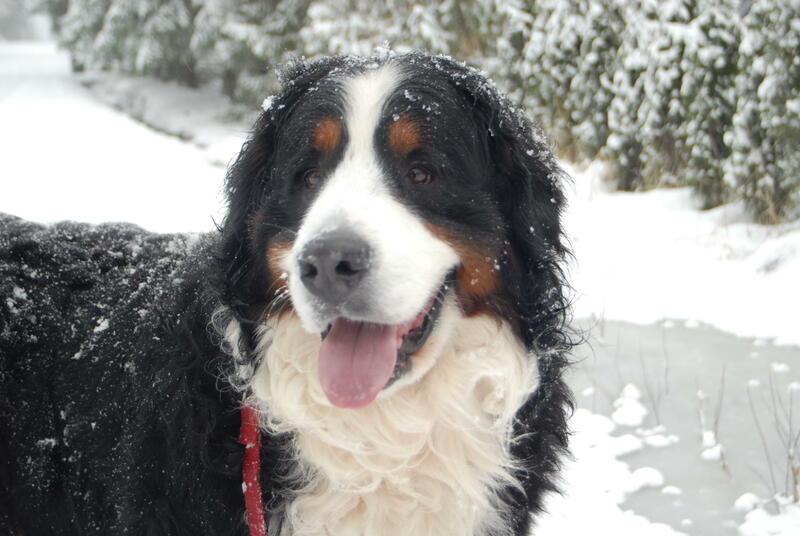 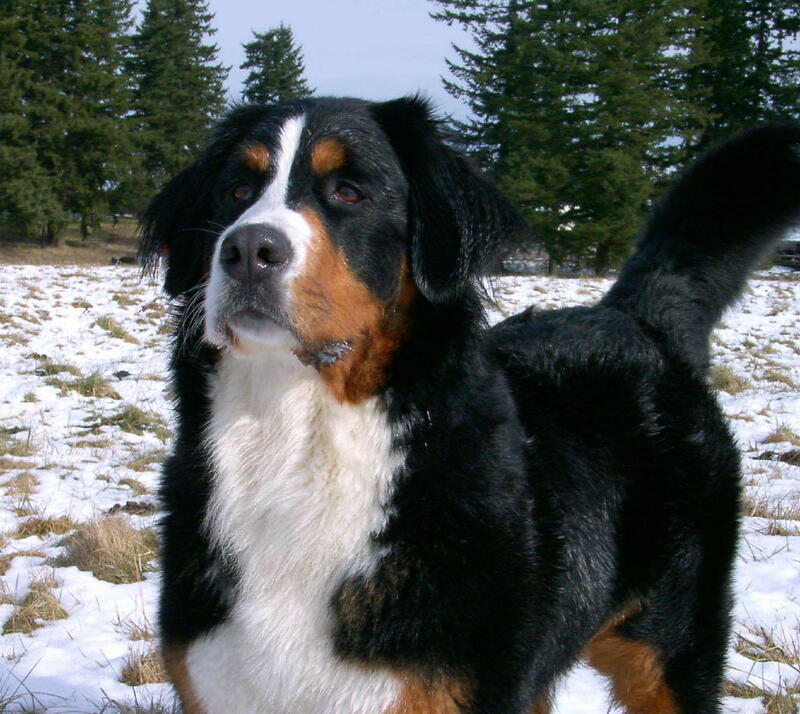 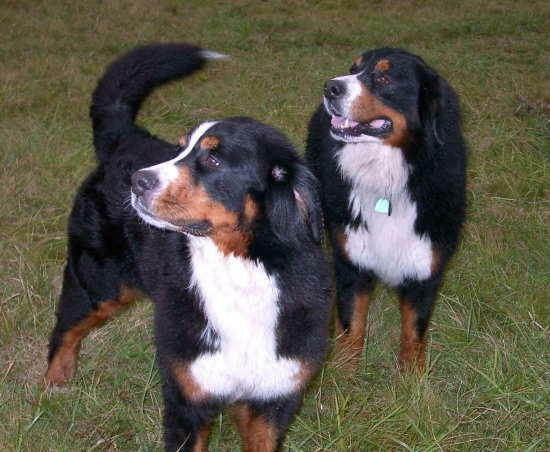 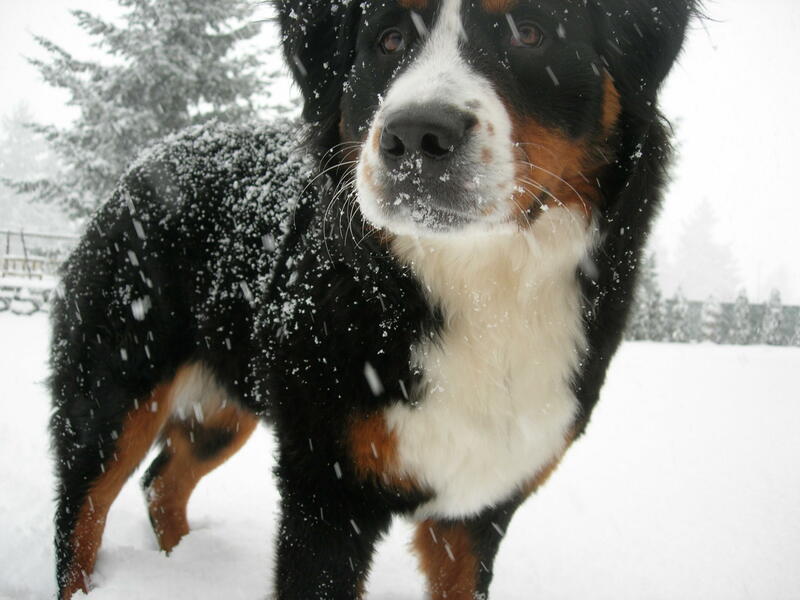 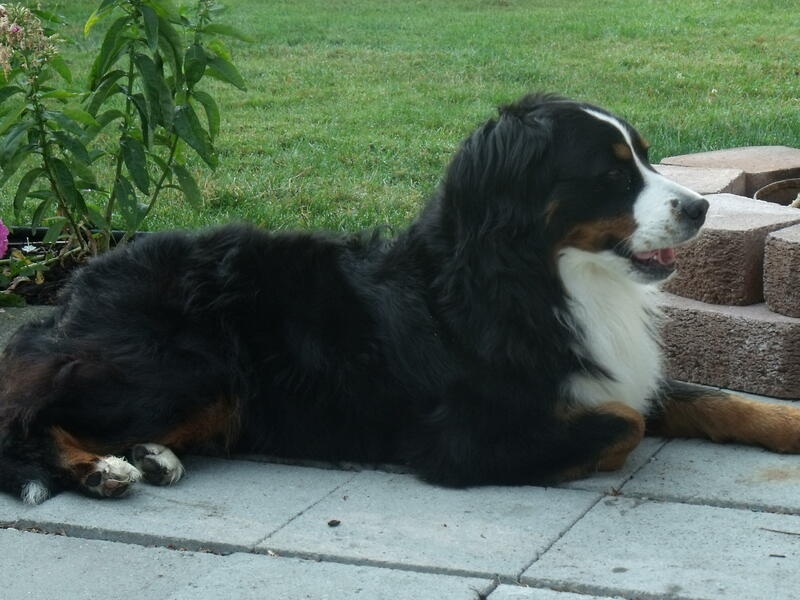 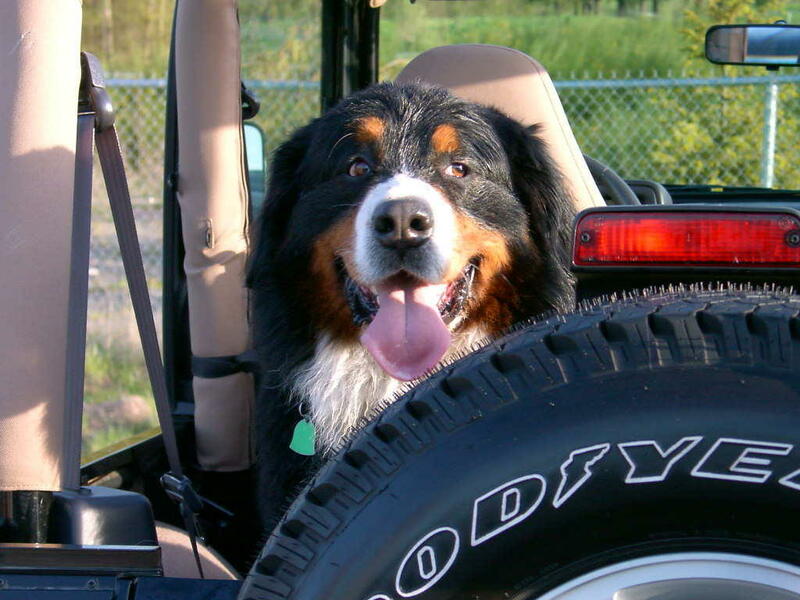 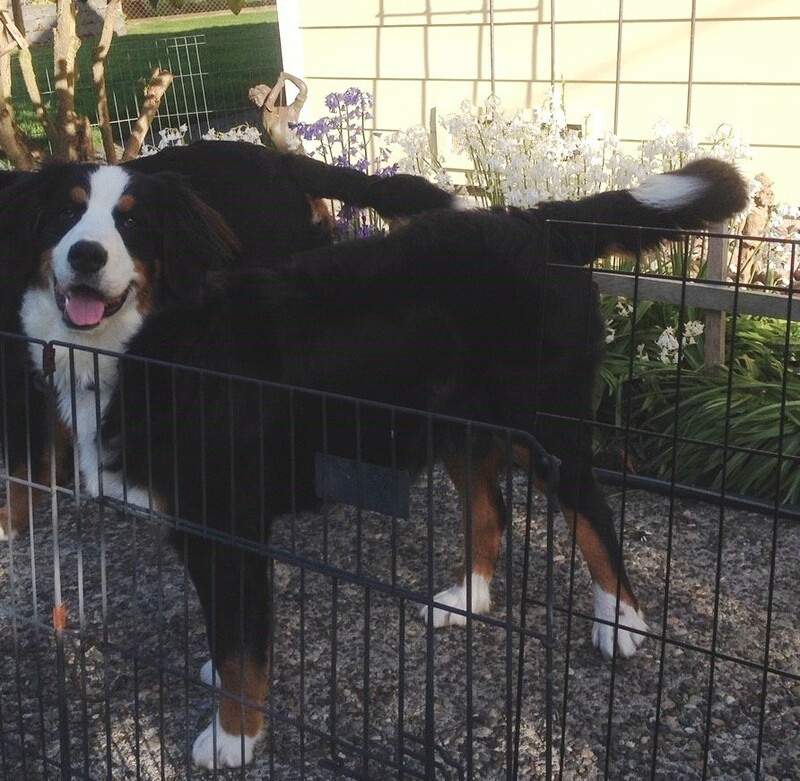 A breeding of the two shown above a Bernese Dam (72#) to a Parti Moyen (25#) was done in the spring with puppies to be born around Memorial Day weekend. 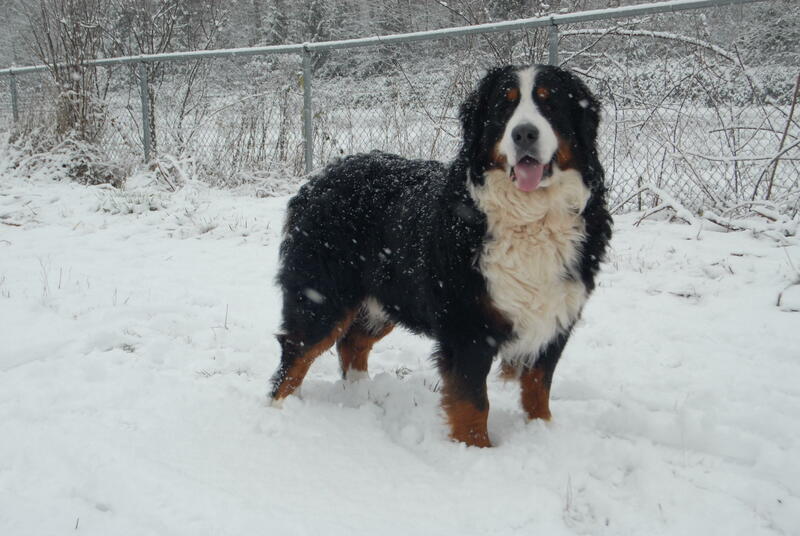 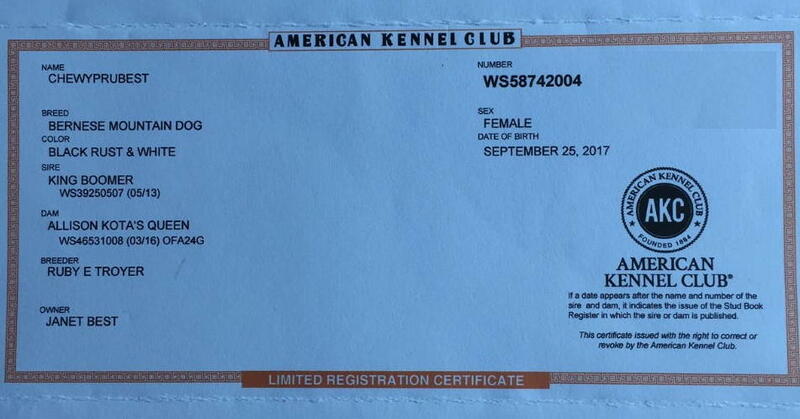 A breeding scheduled for the summer of 2019 will be with Bernese Dam (80#) and Parti Sire (25#) shown above. 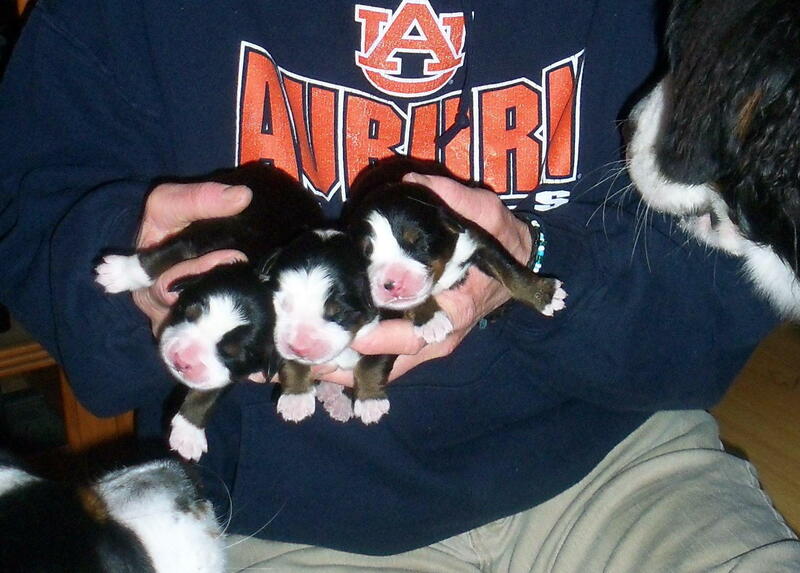 This same couple had the puppies shown below. 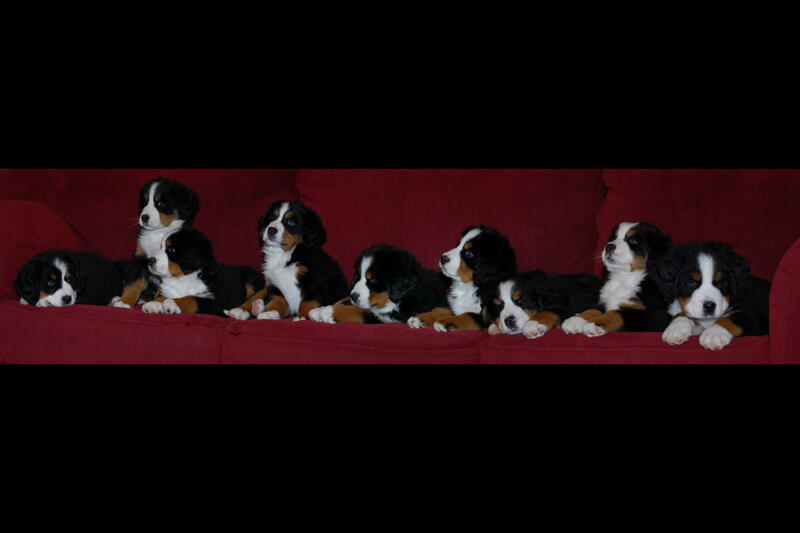 Below are photos of previous litters and their parents. 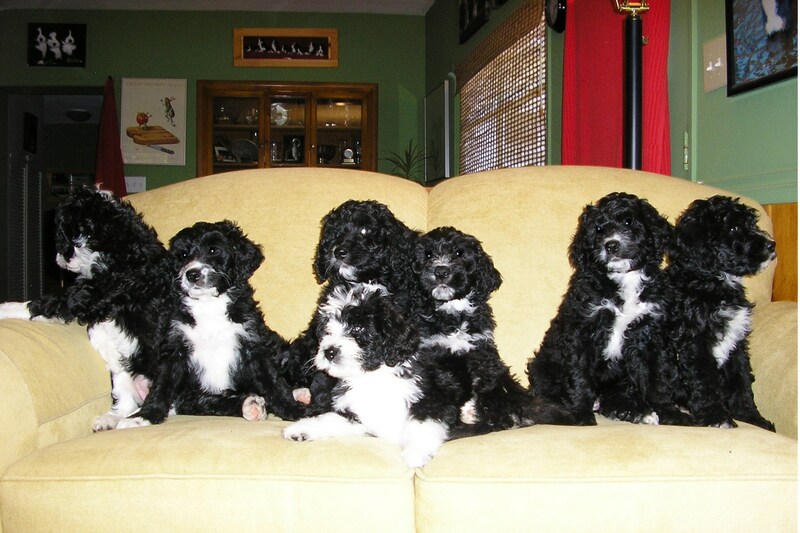 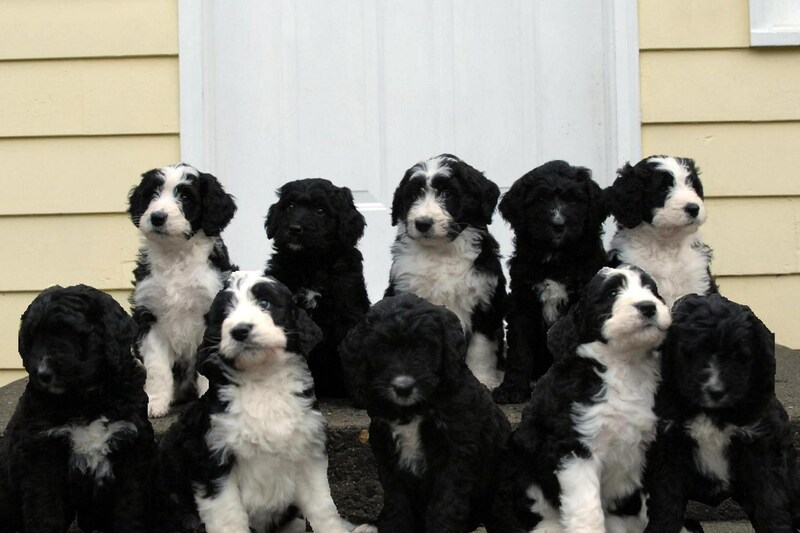 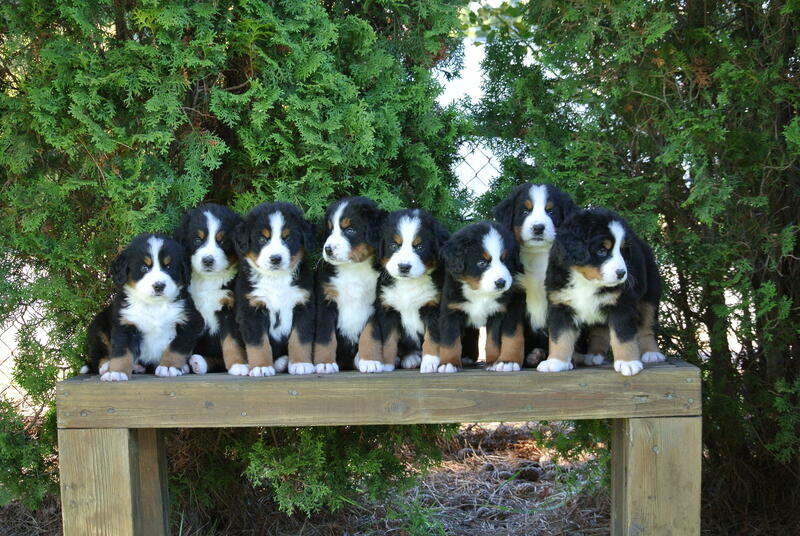 Use the back button to return to this page of puppies and parents.